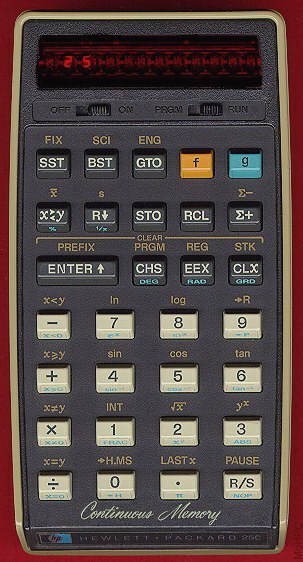 An improved version of the HP-25 featuring continuous memory. Programs and data were retained when the calculator was turned off, because the new low power CMOS memory was powered even in the "off" state. It was even possible to change the battery pack and retain the memory because of a capacitor inside. Users expect continuous memory today but it was an impressive upgrade at the time. 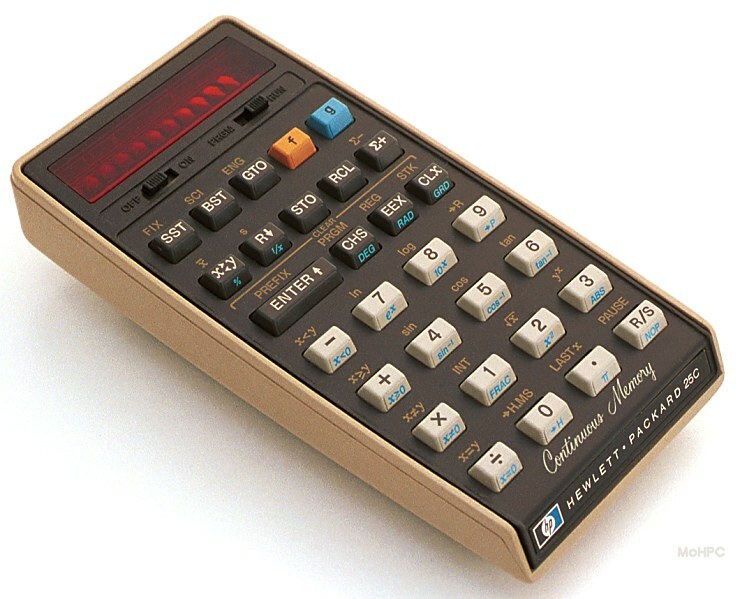 This was the first example of HP upgrading rather than replacing a calculator.